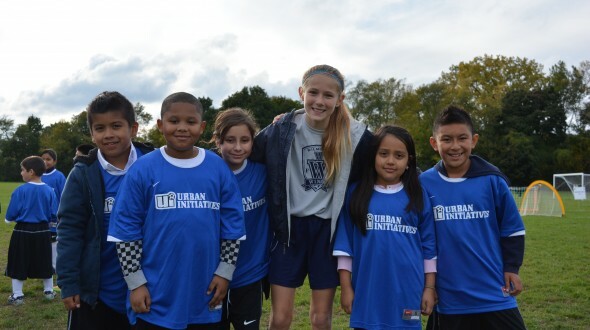 When does Urban Initiatives’ fall season officially begin? When hundreds of players from the Wilmette Wings and Urban Initiatives take the field for the annual Crosstown Classic! 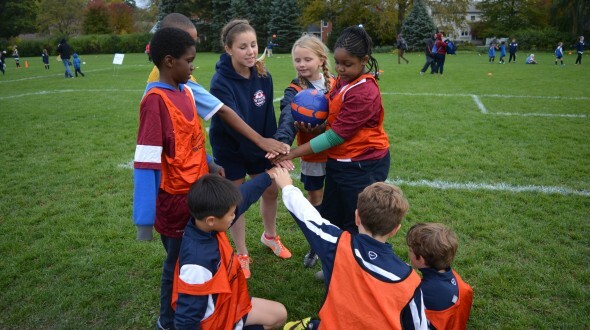 On Friday, October 10th, nearly 400 2nd-8th grade Urban Initiatives and Wilmette Wings players came together for the 14th Crosstown Classic at Avoca Field. 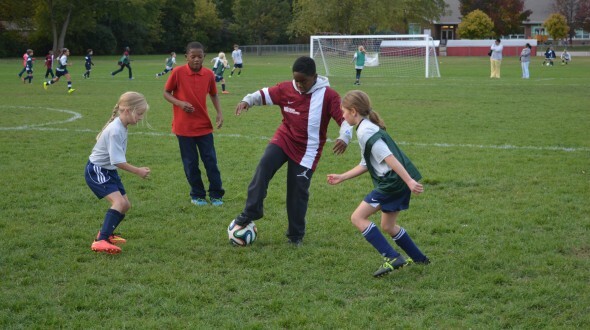 Kids, coaches, parents, and siblings from Jahn, McNair, Lawndale, and Nixon made the trip from Chicago to Wilmette for the afternoon, and when all the buses were unloaded, one thing was clear: it was time for soccer. 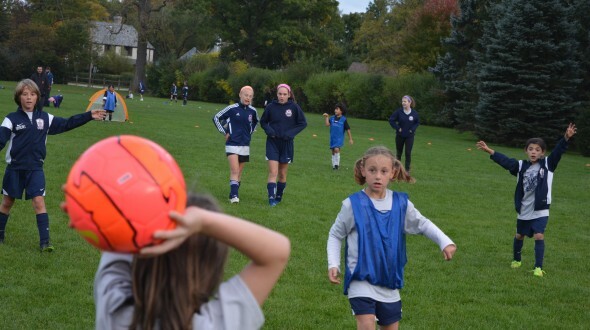 While the Wings coaches and older players helped set up the last few fields, Coach Jeff made quick work of separating the younger players into mixed-squad teams. After handshakes and introductions, the teams picked names for the afternoon. On one field, the Blue Tigers took on the Hammerheads; a few steps away, the Roaring Dragons tried their best to juke around the Cruz Azul Cheetahs. Teams were passing, trapping, and laughing as far as the eye could see. 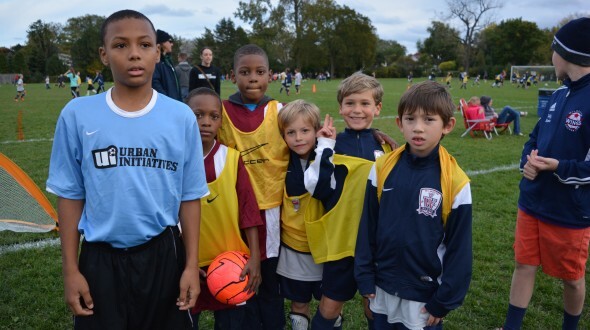 Two new friends – a U-8 player from the Wings and a third grader from Lawndale – took a break from the action for water and Chewy Bars. While chatting and catching their breath, they discovered they shared the same birthday and raced across the field together to tell their parents. The bonding doesn’t end with the kids. 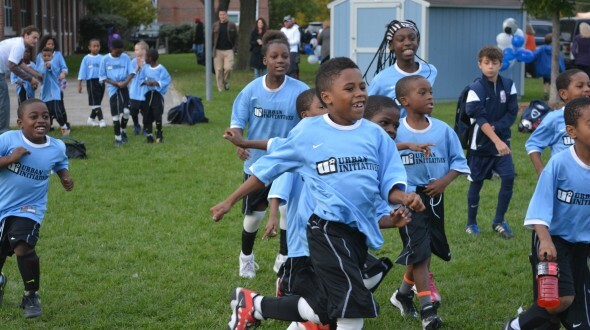 Urban Initiatives and Wings parents came together to cheer on their children from the sidelines, clapping for quick passes and well-timed shots. 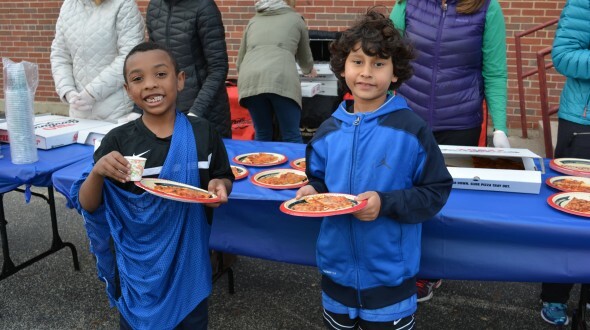 As the sun went down and games ended, new teammates turned into pizza partners as the players and parents came together for delicious Giordano’s pizza, granola bars, and bananas. After eating, groups of excited kids said their goodbyes and headed home. This was another amazing crosstown, and Urban Initiatives would like to thank the incredible Wings community for welcoming us. 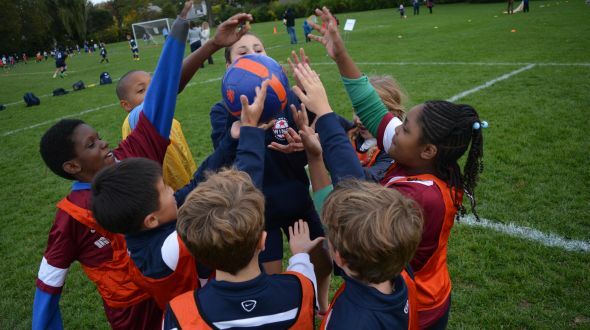 A huge thank you to Melissa Meers for all her help with organizing parent volunteers and event logistics and Tom Gizynski for helping coordinate coaches and field space. Last but not least, thank you Giordano’s for donating pizza to feed 400 kids and parents. We can’t wait for the 15th Crosstown next year!